Decocrated is the perfect subscription and GIFT for people who are inspired by the latest trends in home décor. Many people need or want help decorating their space, says Michael Siegel, Founder of Decocrated. I’m hoping that Decocrated can play a role in making people feel proud of their homes. Decocrated is a unique subscription box service that sends its subscribers a seasonal, curated selection of home decor on a quarterly basis. Each Decocrated subscription box includes interchangeable items from tabletop décor to textile elements and wall accents that can be used and loved for years to come; their boxes often incorporate holiday décor options that move within the season such as Halloween/Thanksgiving for Fall. Decocrated will start shipping its next seasonal Box for summer the first half of June. 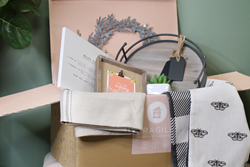 About Decocrated – Not all home décor subscription boxes are created equal. Decocrated is for those who love styling their home, and want a little inspiration. Quarterly subscription boxes are hand-picked with a selection of home décor that evokes the season, keeping your space feeling fresh and on trend.